A set of “policy positions” on insolvency law and practice has just been issued by Australia’s insolvency practitioners association – the Australian Restructuring Insolvency and Turnaround Association (ARITA). 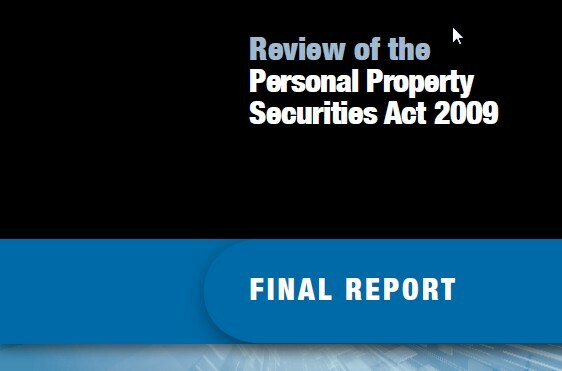 ARITA’s 17-page paper – named Policy Positions of the Australian Restructuring Insolvency and Turnaround Association – is the final version of its discussion paper, A Platform for Recovery 2014. It is attached to its submission on 2 March 2015 to the Productivity Commission’s public inquiry into ” barriers to setting up, transferring and closing a business”. It seems ARITA’s policy positions paper is not yet (mid-day 5/3/15) published as a separate document on ARITA’s website. However, I have created a copy, which is available on my website now. ARITA’S full 59-page submission to the Productivity Commission is available on its site, as is its useful summary of the key points made in the submission. ARITA says that the policies in the Policy Positions paper form the key basis of ARITA’s submission to the Productivity Commission. Other link: To the website of the Productivity Commission’s Business Set-up, Transfer and Closure inquiry. Recommendation 20 of the advisory report by the Australian Parliamentary Joint Committee on Intelligence and Security (tabled 27 February 2015) is that the Australian Securities and Investments Commission (ASIC) be listed as a criminal law-enforcement agencies under proposed section 110A of the Telecommunications (Interception and Access) Act 1979, thereby permitting it to continue to access telecommunications data. 6.42 The Committee recognises the importance of carefully circumscribing the agencies which are designated as ‘criminal law enforcement agencies’ to ensure that only agencies involved in investigating serious contraventions of the law and subject to appropriate safeguards may seek warrants to access stored communications. 6.43 On the evidence provided, the Committee considers that ASIC is an appropriate agency to be a ‘criminal law enforcement agency’. In particular, the Committee notes that ASIC’s functions include investigating serious offences; that access to stored communications is, and will continue to be, of assistance in its investigations of serious offences; and that ASIC is subject to appropriate accountability requirements and safeguards including the Australian Privacy Principles.